Occasionally we like to embark on flights-of-fancy with crazy renders of unlikely post-apocalyptic battle cars. The Porsche 911 you see here, however, isn’t a render. Nor is simply an upfitted 911 with off-road tires and rally-spec suspension. This is a straight-up end-of-the-world machine, ready to scour the wastelands in search of precious gasoline while escaping marauding bandits. And if you have $38,975 laying around, you can scamper over to eBay and become a road warrior yourself. 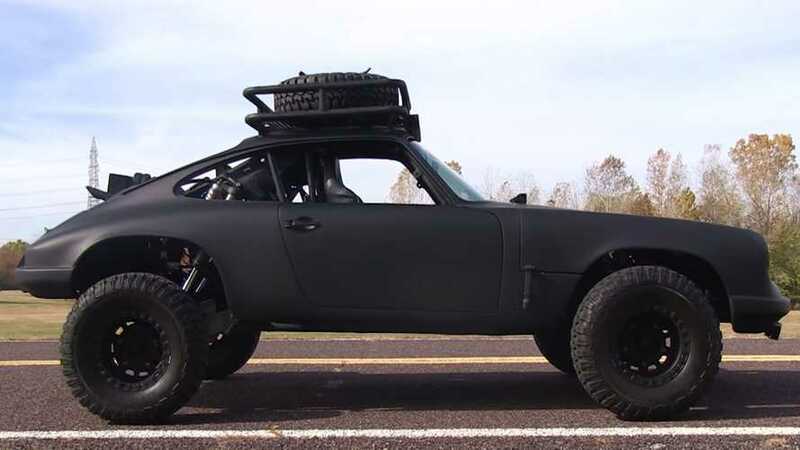 Motoexotica is the seller of this sinister looking Porsche, and it’s unlike any 911 we’ve ever seen. 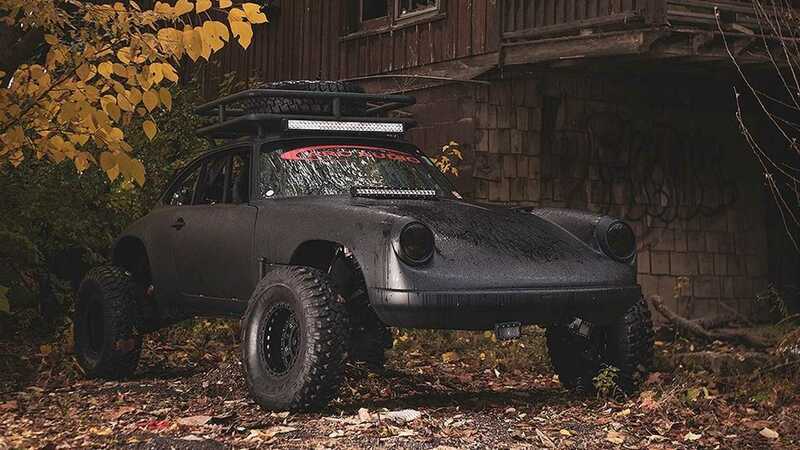 According to the eBay description, this machine started life a 1969 911 coupe and was turned into a zombie killer by builder Michael Lightbourn for the 2017 SEMA Show. Underneath the body sits a legitimate off-road Baja chassis, and when you peek inside the car you can see just how extensive the build is. A fuel cell sits right behind the two front seats, and six Exit shock absorbers help the Porsche soak up the bumps. Power comes not from a flat-six Porsche mill, but a 2.3-liter flat four sourced from Volkswagen. Power goes to the ground through a four-speed manual transmission, and a cool quad-exhaust system gives the battle car a neat growl. Tires are knobby 30 inchers mounted on 15-inch wheels, and it’s got all kinds of high-intensity lights to see through the dark. The description also says the car wears the same shade of black that the U.S. Air Force uses on the B-2 Stealth bomber, which we’re not entirely sure we believe but hey, the car is definitely badass with its matte finish. The car is located at Motoexotica’s shop in St. Louis, Missouri, but before you conjure up visions of scaring everyone at the next Cars & Coffee meet with this ride, know that it’s only sold with a bill of sale. If, however, you just want something to survive the next trip to Bartertown, this could be your ticket to ride.